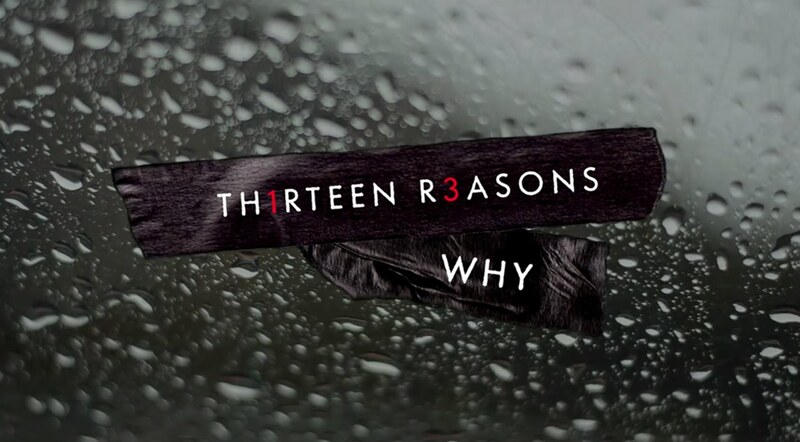 Thirteen Reasons Why follows the story of Hannah Baker, a girl who commits suicide, and what led her to make this decision. Throughout the novel, she describes the ‘snowball effect’, lots of small actions, that led to such dramatic consequences. She leaves thirteen tapes in a shoe box, each owing to a certain person and depicting the part they played in her story. On her death, the tapes are passed around the thirteen people, who must listen to realise how they contributed to Hannah’s death. The reader catches up with the tapes when they have been given to Clay Jenson. Like the other people on the tapes, he is forced to hear the rest to get to his part in the story, then required to hear the next tape after his to find out who he should send the tapes to next. Within one night, described across the novel, he listens to all thirteen tapes. It is instantly clear to the reader that Clay is not a bad guy. He seems genuinely upset about Hannah’s death and he emphasises with her as she describes the sequence of events. This leaves the reader, and Clay, in constant suspense about what he could have done to deserve to be on these tapes in the first place. Thirteen Reasons Why doesn’t disappoint. It’s a short book with two narrations – Hannah’s story, and Clay’s as he listens to the tapes. The tapes are paused and played throughout the book as Clay walks around listening to them, borrowing a Walkman from a friend of his. He visits the places Hannah describes in the tapes and thinks over how ‘the snowball’ affected her. The story is very real, Hannah’s narrations are all very honest as she describes her thoughts and reactions to events. At the beginning of the novel I found myself thinking what happened to her was “bad, but not that bad”; however, Hannah’s situation quickly escalates and, like she says, the snowball effect occurs. The ending confused me for a long time. I don’t feel worried about telling you the ending, since from the very first chapter, the premise of the book makes the ending pretty clear – this is the story of Clay listening to Hannah’s tapes. Clay finishes her ordeal within one night, and returns to school the very next day. He reaches out to a girl mentioned on the tapes, Skye, briefly described as once popular but now an outsider. Though on first read this might hint that Clay has began to move on to her after having a crush on Hannah, it’s also aware that Clay is now more aware of his classmates and what they are going through. He follows Skye down the corridor because, after listening to the tapes, he’s worried she is in a similar situation to Hannah’s. It’s not just Clay who realises how small things can affect other people; the effect is equally profound on the reader. Hannah encourages all recipients of the thirteen tapes to think about what they are doing and the repercussions of it, to consider the impact it can have on someone dealing with other issues. Hannah’s a very ordinary fifteen-year-old girl: her parents own a shoe shop in town, she goes to school, poetry club and has a weekend job. The events of the novel are all very plausible; some of them even based of the writer’s life. For example, in Hannah’s class of the American equivalent of PSHE there’s an anonymous questions box for class discussions. Hannah drops in a question about suicide and when the class discuss it they get angry, demanding to know who wrote the note and claiming they’re looking for attention. Hannah describes how none of the other topics discussed has ever had this reaction from the class. This event genuinely happened to the writer when somebody dropped that note into the box in his class. This makes the novel all the more real for its reader. Mental health is, obviously, a key theme in this novel. The plot is interesting and well told where there is a clear and powerful message offered up to the reader. The writing is easy and flows well, making this novel a short yet engaging read. The Netflix adaptation of Thirteen Reasons Why arrives today (March 31st).